2018 was the year for getting excited about blockchain, and 2019 will involve driving ROI from them. But that requires first understanding the technology’s capabilities and upkeep requirements. 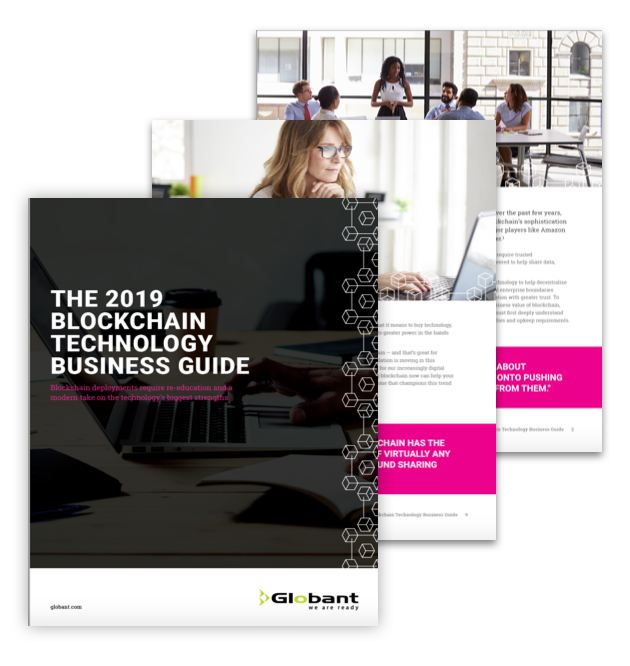 In the 2019 Blockchain Technology Business Guide, we walk you through this technology from start to finish. We look at business investments in blockchain last year, as well as the social nature of the technology. Then we look at the essential value blockchain can add to your business: trust-building and decentralization of data. From there, we outline your options for moving forward in this important investment. Go ahead and get reading!